President Donald Trump is accusing Democrats of "killing the Great State of Virginia." Trump was responding to the scandal that has engulfed Virginia's top three elected officials, including Gov. Ralph Northam, whose medical school yearbook featured a racist photo. A woman has alleged that state's lieutenant governor, Justin Fairfax, sexually assaulted her, a charge he denies. And the state's attorney general has acknowledged that he wore blackface once as a teenager. Trump claims in a tweet Thursday that the response to the fallout has been politically biased, alleging that: "If the three failing pols were Republicans, far stronger action would be taken." Democrat Hillary Clinton carried Virginia in the 2016 presidential election. Trump predicted in his tweet that the state "will come back HOME Republican) in 2020!" Democratic politicians are now waiting on the Virginia Legislative Black Caucus to respond to the latest developments threatening to bring down the state's top three elected officials. The caucus quickly condemned Gov. Ralph Northam and called on him to resign after the revelation that a photo of two men in blackface and KKK costumes was put on his yearbook page back in 1984. But the group has been silent so far since Lt. Gov. Justin Fairfax was accused of sexual harassing a woman 15 years ago and the next official in line to replace a governor, Attorney General Mark Herring, also admitted that he once wore blackface to a party as a teenager. The black lawmakers said last night that they were working on a statement, but so far they have not issued one. A black Virginia state senator says several people were crying as Attorney General Mark Herring met with black lawmakers to discuss Herring's admission that he had dressed in blackface when he was in college. Democratic Sen. Louise Lucas says Herring and the lawmakers held an emotional meeting Wednesday morning. She says people were crying "all around the table," including men. She says it also looked like Herring cried. Herring revealed Wednesday that he wore brown makeup and a wig in 1980 to look like a black rapper during a party as an undergraduate at the University of Virginia. Lucas says Herring apologized during the meeting and asked, "Where do we go from here?" 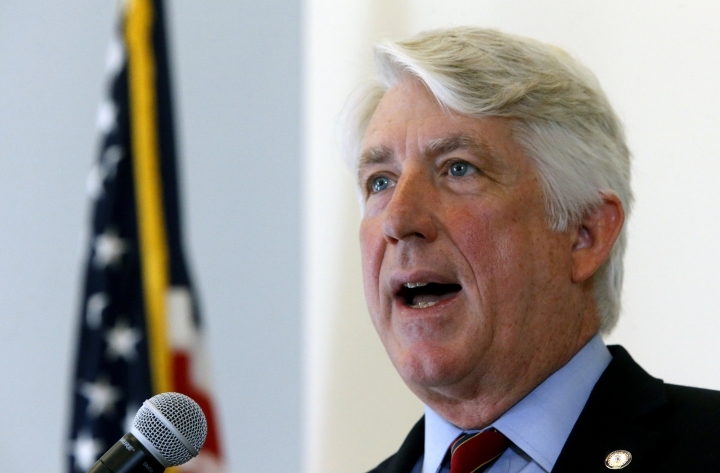 The lawmakers told Herring that they needed to discuss their next steps among themselves. Virginia's attorney general will no longer be a top leader of a national association after acknowledging he wore blackface at a college party. 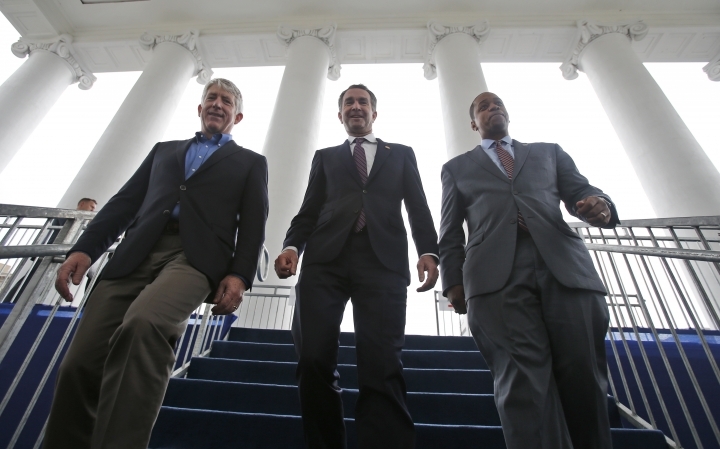 The Democratic Attorneys General Association issued a statement Wednesday saying Virginia Attorney General Mark Herring offered to step down as one of the co-chairs of the association. District of Columbia Attorney General Karl A. Racine will return as co-chair on an interim basis, joining current co-chair and Oregon Attorney General Ellen Rosenblum. Herring issued a statement Wednesday saying he wore brown makeup and a wig in 1980 to look like a black rapper during a party as an undergraduate at the University of Virginia. The chairman of the Virginia Legislative Black Caucus says its members need time to process the revelation that another top state Democrat put on blackface years ago. Attorney General Mark Herring issued a statement Wednesday saying he wore brown makeup and a wig in 1980 to look like a black rapper during a party as an undergraduate at the University of Virginia. Del. Lamont Bagby is chairman of the caucus. He says the caucus "needs time" and has a "lot to digest." Democratic state Del. Delores McQuinn didn't answer directly when asked if Herring should resign. The African-American lawmaker said legislators "are going to govern — that's what our constituents want us to do." Virginia Lt. Gov. Justin Fairfax says a woman alleging sexual misconduct never told him she was uncomfortable with what happened during the encounter or in the years after. Fairfax issued a statement Wednesday reiterating that he had a consensual encounter with the woman 15 years ago. He said he was an unmarried law student at the time. The Associated Press is not reporting the details of the Fairfax accusation because AP has not been able to corroborate it. The woman making the accusation hasn't returned messages form the AP seeking comment. Fairfax said the woman expressed no discomfort at the time, or during the years afterward. He said the first he heard about the accusation was when he was approached by a news outlet in 2018 after his inauguration. 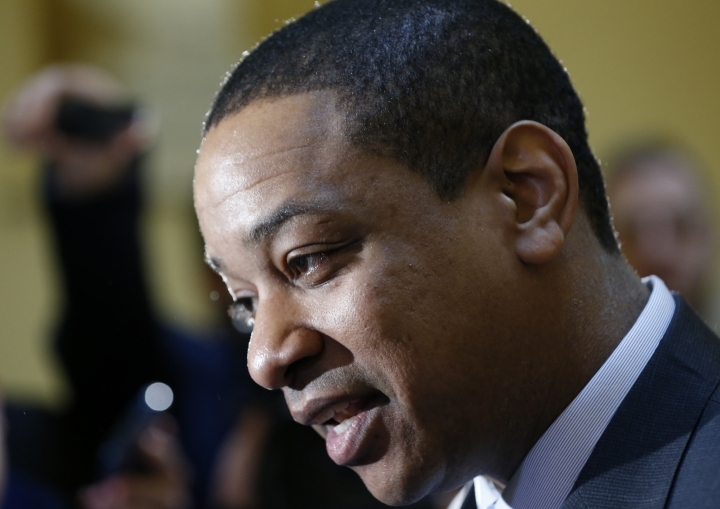 Fairfax is next in line for Virginia's highest office if Gov. Ralph Northam steps down over a racist photo scandal. Another top Virginia Democrat has admitted to wearing blackface decades ago. Attorney General Mark Herring issued a statement Wednesday saying he wore brown makeup and a wig in 1980 to look like a black rapper during a party as an undergraduate at the University of Virginia. Many including Herring have urged Northam to resign after the discovery of a photo of someone in blackface on his 1984 medical school yearbook page. Fairfax, next in line to be governor, has been accused of sexual misconduct, which he denies.